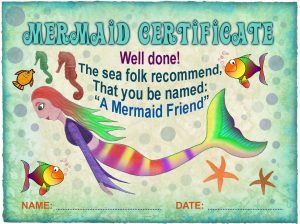 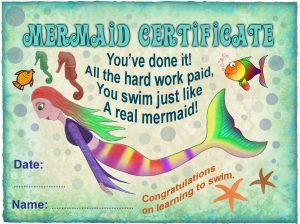 Below is our collection of mermaid certificates – some have space to add a name and some don’t. 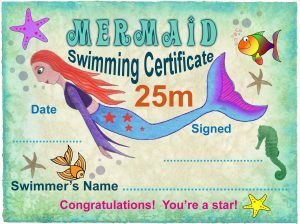 (We find that some people in a hurry, such as swimming teachers or parents looking for party bag fillers, like to have the option of assing a name or not.) 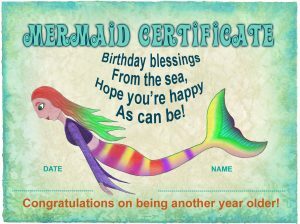 Whatever you need a mermaid certificate for, we hope it goes well and that the recipient is pleased with it.